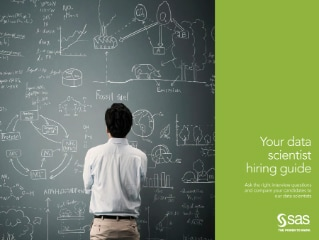 If you’re dealing with large amounts of data and complex problems, you might be ready to hire a data scientist. But what will you ask in the interview, and how will you evaluate the candidates? In this e-book, we provide 20 interview questions, so you can walk right into the interview knowing what to ask. We also profile three working data scientists, so you can better understand the backgrounds and habits of this new breed of analytical data expert. Whether you’re hiring you first data scientist of your fifteenth, we hope this e-book helps you find the right candidate.